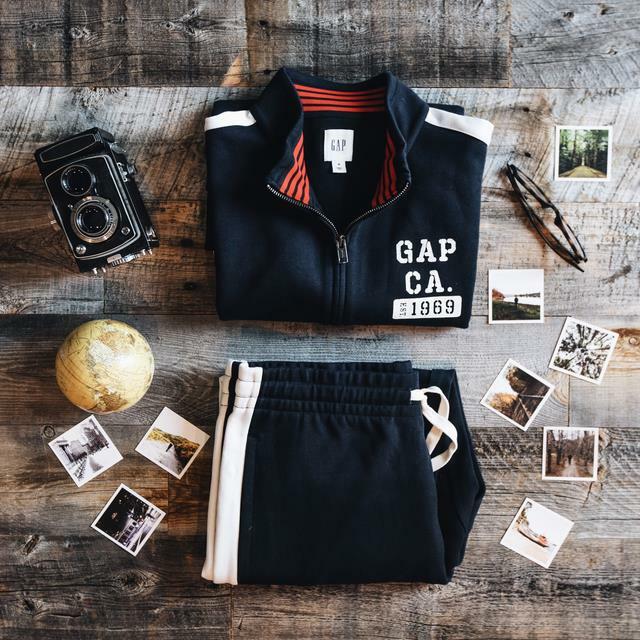 Gap Canada wants you to enjoy more of your boxing week by offering you awesome deals today! You can save 40% offon your purchase, including the winter sale online, plus FREE shipping on all orders. Simply use the promo code GAPDAY5 at checkout. Restrictions apply. This offer is valid until December 30th, 2017 at 11:50 PM ET. Gap Canada is also offering you up to 75% off on winter sale styles, including women’s, men’s, and kids’ jackets, sweaters, jeans, and more! Prices as marked. This offer ends on January 7th, 2018. This Softspun Off-the-Shoulder Sweater features straight silhouette with an easy fit, for $59.95. When you use the promo code at checkout, you can save 40% off, and pay only $35.97 plus FREE shipping. Today only Gap Canada is offering FREE shipping on all orders with no minimum purchase when you use the promo code at checkout. 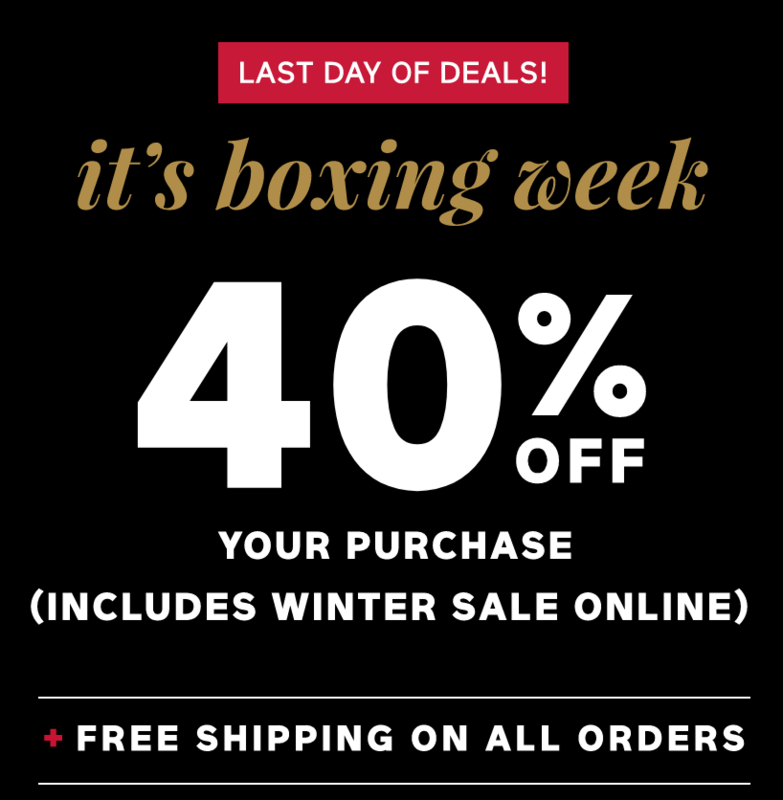 Gap Canada is having a Boxing WEEK sale with new deals each day! Today’s deals are: Up to 60% off winter sale + Up to 45% off purchase + free shipping. To get this deal, use the promo code GAPDAY1. This promotion is valid online only, today, December 26 2017, and some restrictions apply. 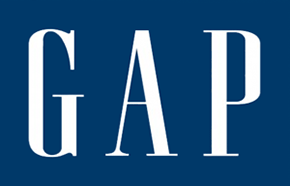 Click here to shop at Gap Canada. We've marked down our winter stock by up to 60% off in celebration of our Winter Sale event. Enjoy an additional 40% off ONE DAY ONLY this Boxing day valid on both regular price and markdown items. BOXING DAY ONE DAY ONLY EVENT. We've marked down our winter stock by up to 60% off in celebration of our Winter Sale event. Enjoy an additional 40% off ONE DAY ONLY this Boxing day valid on both regular price and markdown items. Promo Starts: Mon December 26, 2016. Promo Ends: Tue December 27, 2016.